Ferdinand Ries was Beethoven’s student, close friend and biographer. He was a gifted and prolific composer whose works, like those of many other composers of his time, were largely overshadowed by Beethoven’s presence. 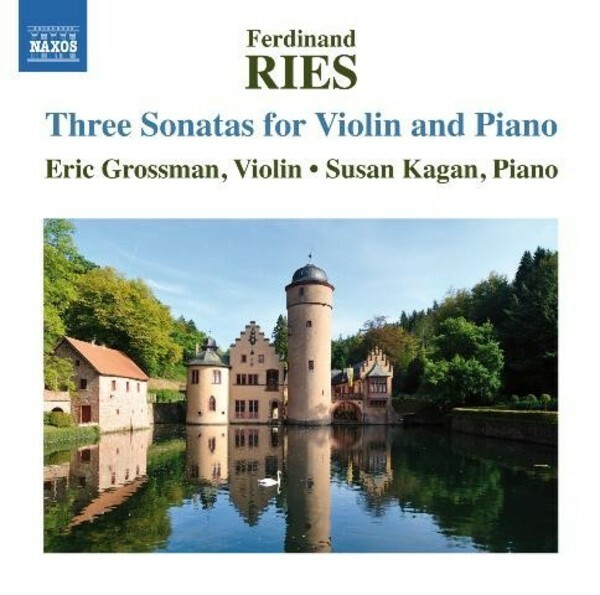 Ries’s music was widely known and admired in his lifetime, and his 18 Violin Sonatas are models of the Viennese Classical style established by Mozart. The pastoral character of the first Sonata, Op.8 is enlivened through the unusual appearance of a fugue, while the second of the pair features a lovely, serene Adagio cantabile. The large-scale drama of the Grande Sonata, Op.19 links it to Beethoven’s Appassionata.